Copan Lite, for Windows desktop/netbook, is a functional and easy-to-use tool for computing and managing plane land survey coordinates. It does coordinate geometry (COGO) calculations, processes and adjusts raw field survey data, computes and adjusts map traverse data, performs map checks, calculates areas and perimeters, performs coordinate transformations, and imports/exports Ascii files. It's completely free! 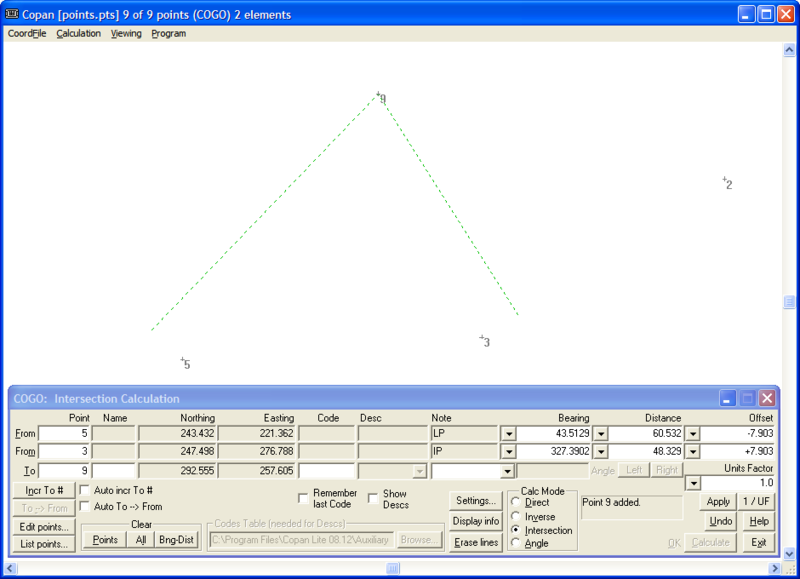 Free coordinate geometry (COGO) tool for land surveyors and civil engineers. Qweas is providing links to Copan Lite 11.11 as a courtesy, and makes no representations regarding Copan Lite or any other applications or any information related thereto. Any questions, complaints or claims regarding this application Copan Lite 11.11 must be directed to the appropriate software vendor. You may click the publisher link of Copan Lite on the top of this page to get more details about the vendor.